Copper is the gold of metal roofing. No literally, it is. It’s priced like gold, it’s valued like gold, and its color is gold. Well until it changes. Then it just becomes a thing of beauty for hundreds of years. Perhaps the only disadvantage of a copper roof is the exuberantly high initial cost up front. It is, by far, the most expensive metal roofing option on the market, bar none. Yet, when you take into consideration the benefits and value of copper, the cost factor be put into proper perspective. For residential copper roofing and cladding projects, you can expect to pay in the range of $15 to $25 per sq. ft. installed. Regardless of the shape of the copper pieces, the slope or complexity of your roof, and even your location, that range is what you ought to expect to pay. Even on the low end, that is substantially more expensive than steel and aluminum ($8 to $12 per sq. ft. installed), though that depends on the roof style and quality of the finished metal. The higher end of the copper roof cost depends on your location and your roof’s overall complexity and size. — Plan on paying more per sq. ft. when covering a smaller roof, such as a porch or bay window with significantly smaller square footage. Key Considerations and Points to Keep in Mind: You don’t have to cover your entire home with Copper roofing. For example, many people will accent their homes by using copper on a prominently-situated bay window or a small roof that covers the main entry way. For the average sized American home, you can expect to pay $30,000 to $45,000 for a full copper roof. The true average is closer to $30,000, but even that is around four times the cost of an asphalt shingle roof. In terms of ROI, metal roofing generally returns a value of 86% of the cost upon selling of the home. And almost all metal roofing systems will last at least 50 years. Yet, steel and aluminum may require some sort of maintenance after 30 years, or no longer than 50 years. Copper, along with Zinc, are essentially maintenance free, and both can go for a very long time before maintenance is necessary. Therefore, the 86% ROI is perhaps the lowest figure you can plan on given the length of time it will last. At RoofingCalc.com, they estimate an average copper roof at $36,000 on the low end to $51,000 on the high end. plus. That’s about average for a typical single story house with a roof measuring about 1,600 sq. ft. — This price also includes permitting, tear off and disposal charges. Other than flat roofs, there’s really not a style of a roof that Copper can’t be applied to. 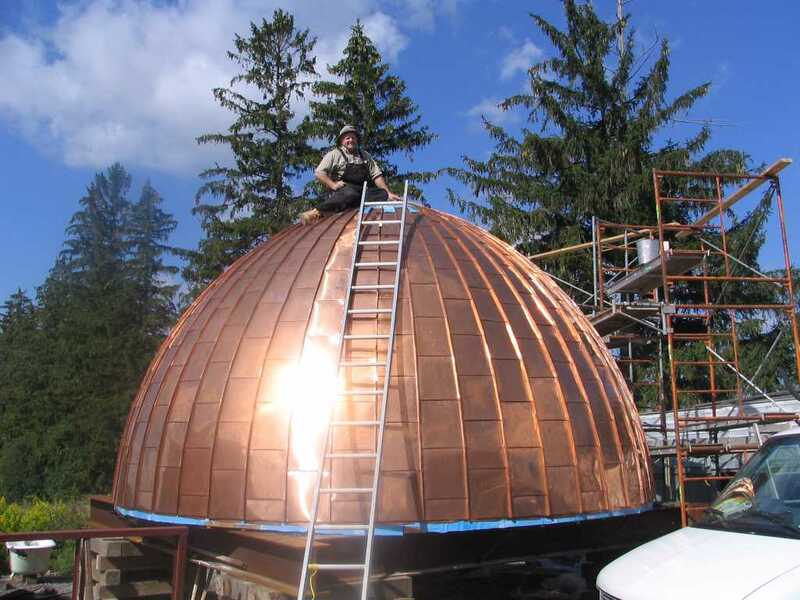 With commercial installations, you’ll see Copper applied to domes or on mansard roofs, given its longevity and durability. 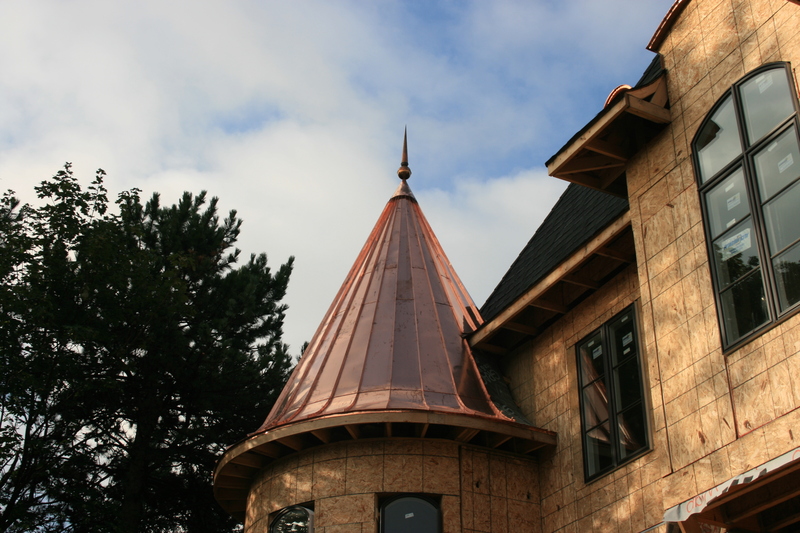 For residential installations, whether it be Metal Shingles (or tiles), Standing Seam, horizontal seam, or accentuating a smaller roof area, Copper roofing will work just as well. Did You Know? Copper, unlike steel and aluminum will never corrode or rust. And thanks to its natural patination process, it never needs painting or re-coating. So, copper starts off gold. Beautiful and grand. Yet, like all things, the beauty is in the eye of the beholder. 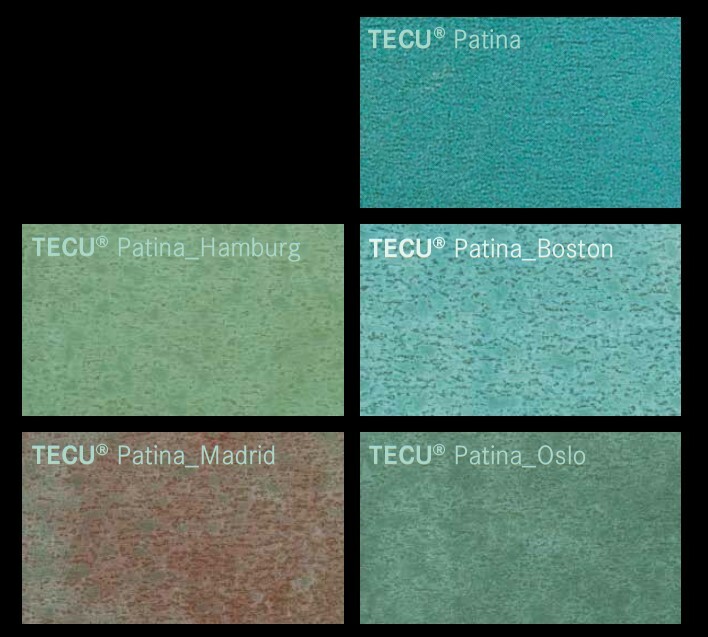 For the patina process, not only provides a ongoing layer of protection, but turns the metal into a green, natural covering. Patination can help copper last up to a thousand years. Well, in theory. It may need some repair during that time span, but the good thing is copper is easy to repair. An expert installer will solder copper to cover small patches or replace larger pieces, via soldering, as needed. Also Copper, like other metals is recyclable. 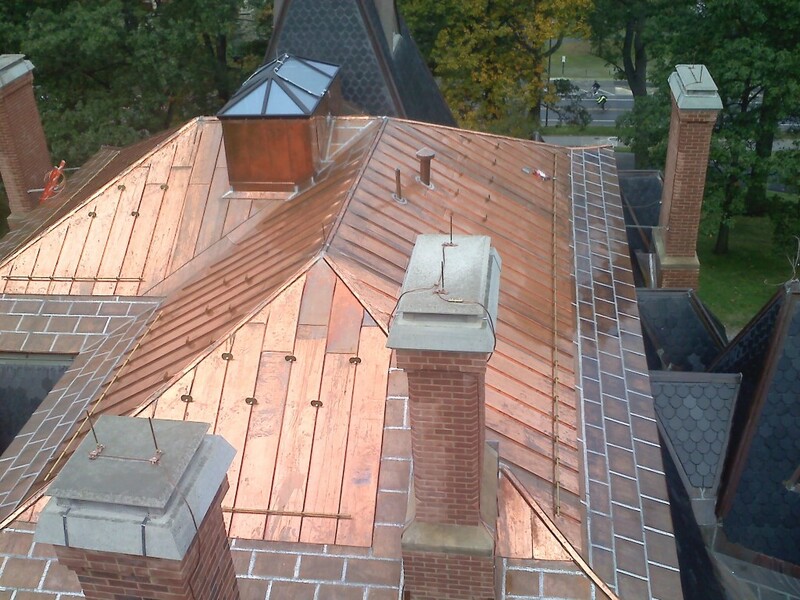 So much so, that it is quite likely several existing copper roofs are made of up to 75% recycled Copper. For additional benefits, see the Advantages below.